Happy New Year! 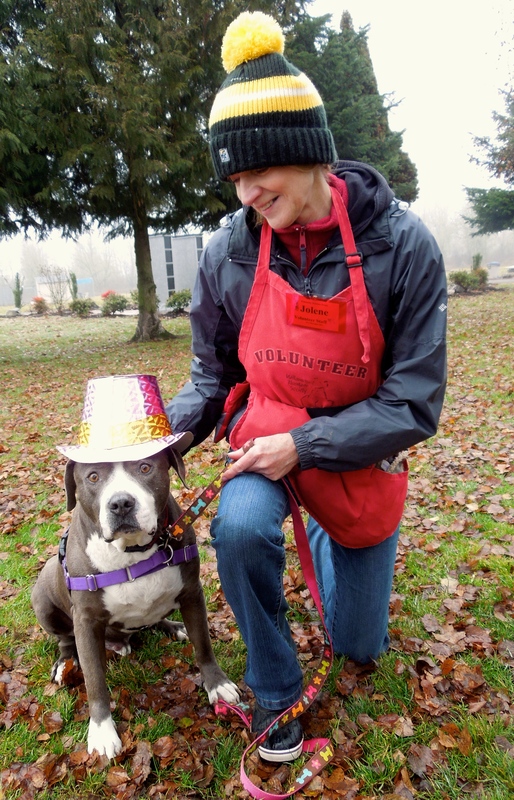 In 2014, Harley’s wishes for you include a warm bed, lots of treats, long walks, and someone to love. He would also like to tell you that some of life’s greatest gifts are second chances. 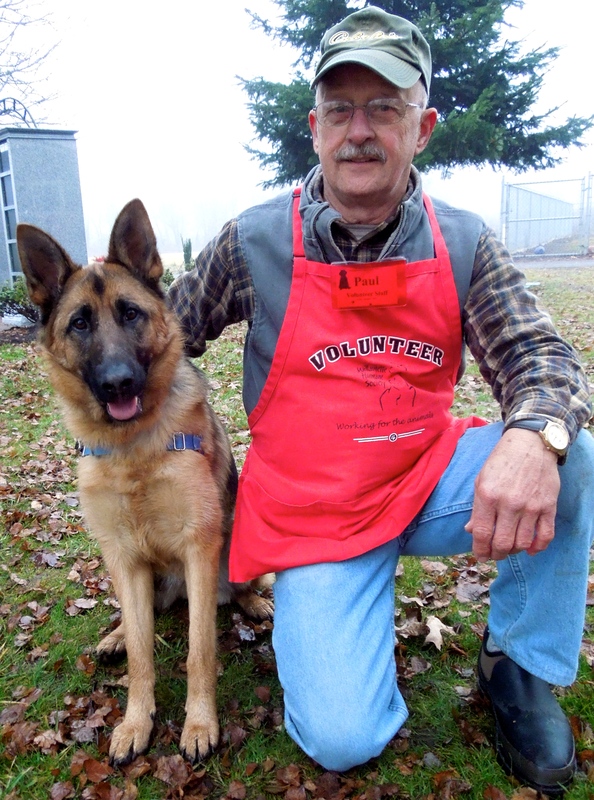 And second chances are what Willamette Humane Society is all about. Today’s post is a look back at some of the happy beginnings in 2013, some newbies who are hoping 2014 will bring them forever families, and two wonderful updates. And now a look forward. I’m ready to start 2014 with a new family! 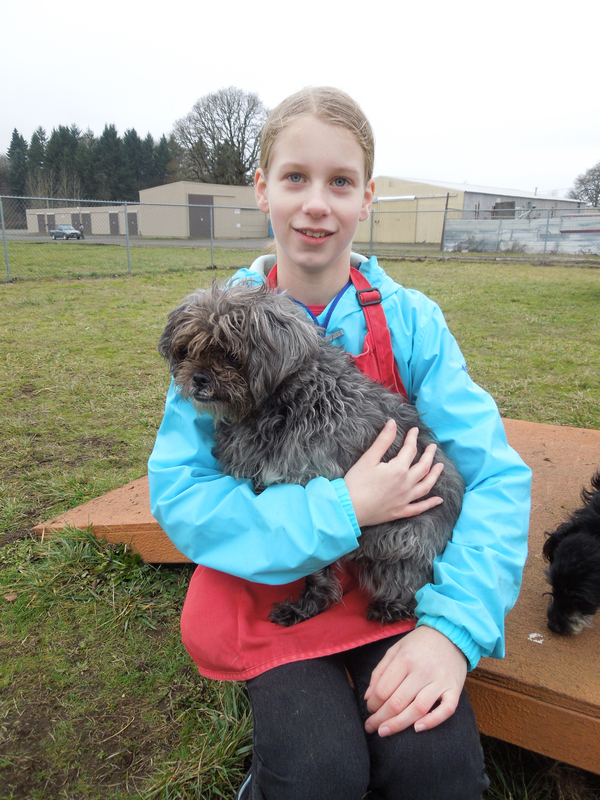 Meet Sammy, a nine-year-old Pug/Miniature Poodle mix. Sammy is a delightful, slightly overweight girl who would love to lose the pesky middle-age pounds that creep up. To do that, she would like long walks (she prances when she walks, which is darn cute) with plenty of time afterward for sitting in your lap. 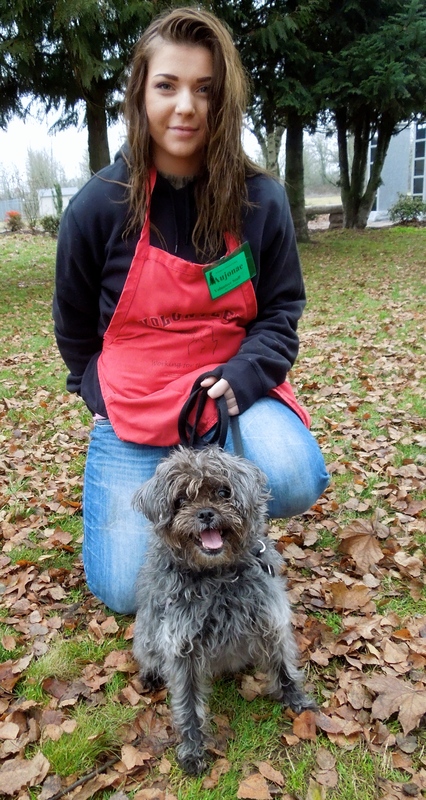 Here she was on Sunday afternoon with volunteer Aujonae. I’m looking for a family who wants to be ACTIVE in 2014! 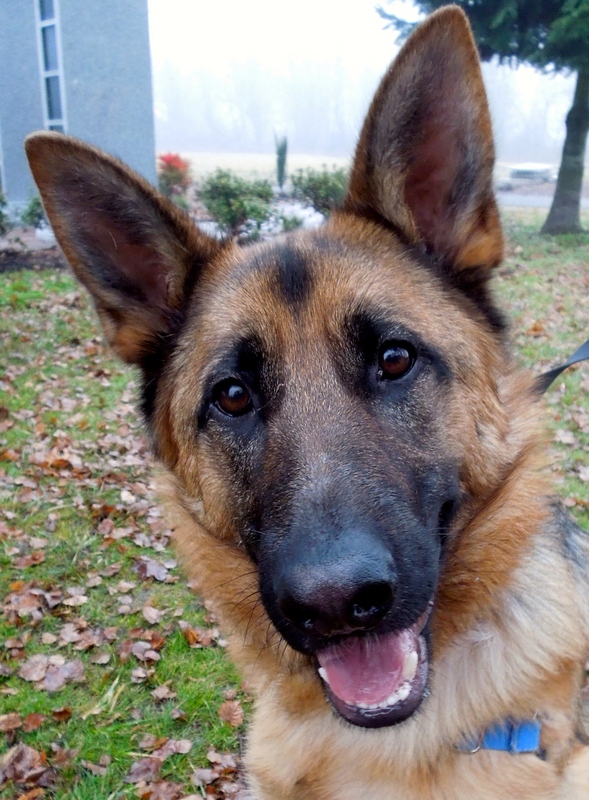 This beauty is Ava, a one-year-old purebred German Shepherd. I met her for the first time this morning when she was on her walk with Paul. 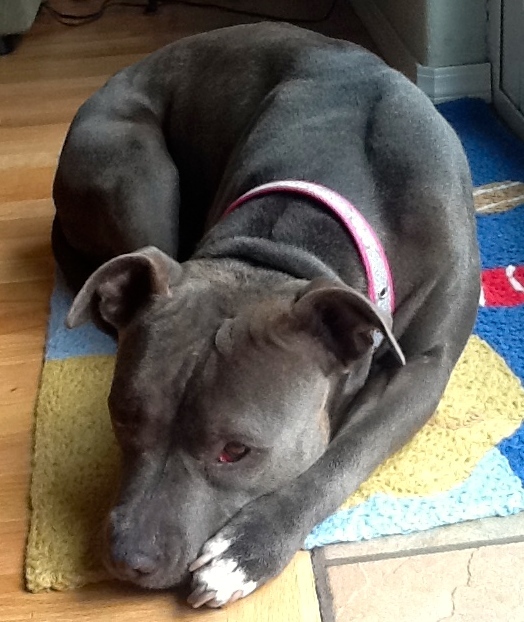 Ava has a ton of energy and being a youngster, can get very excited. She loved my treats, though needs to learn to take them gently. Paul said she walks well on leash when she’s calm. 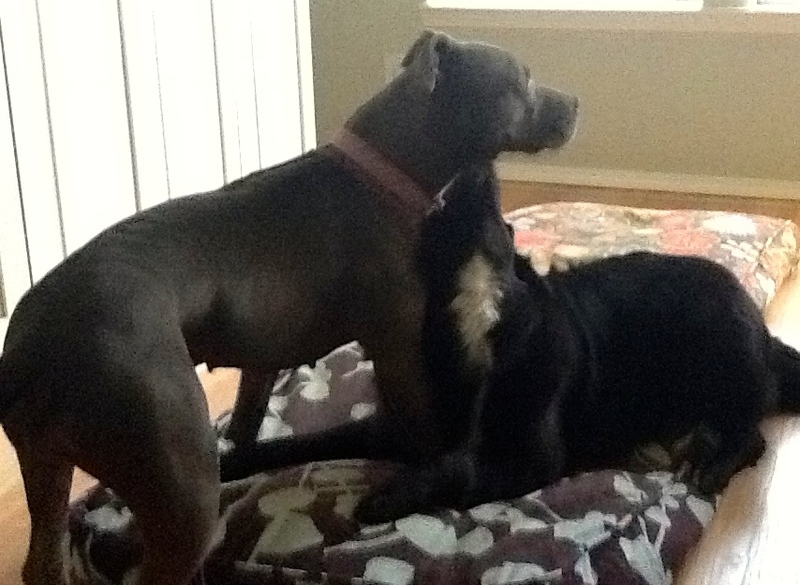 She knows some basic commands and will make the right person a wonderful companion. We’re a little shy, but everyone likes us here! We got a whole family of Min Pin mixes last week. 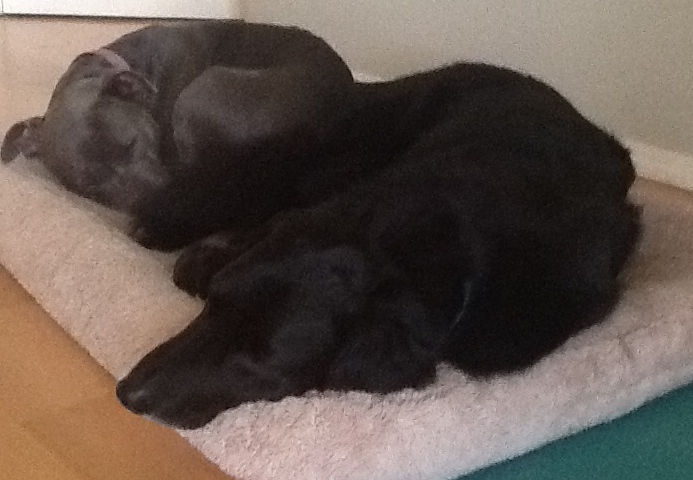 Here are two of them, Bella (left) and Rubia. 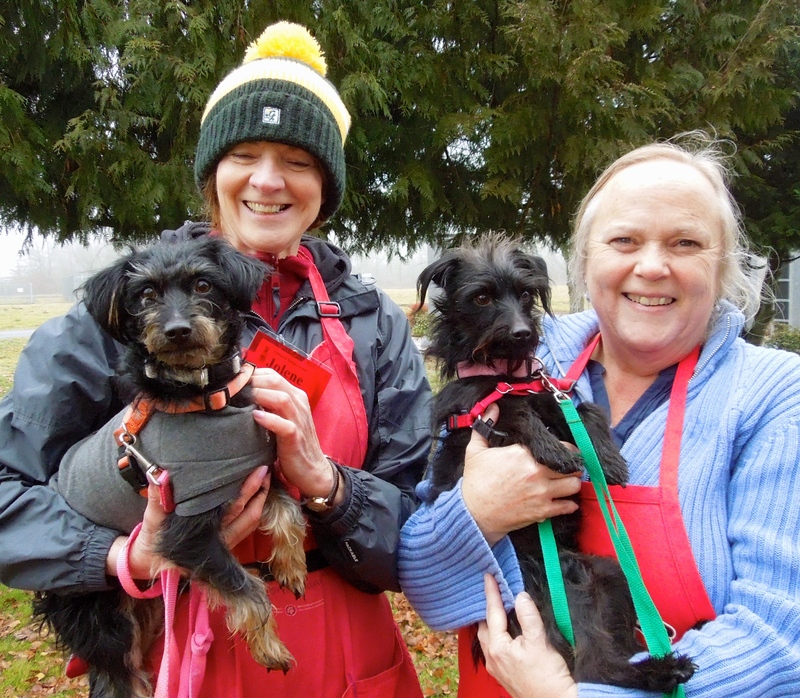 They are both three-year-old Miniature Pinscher/Dachshund mixes. Jolene and Joan took them out together (they are sharing a kennel for company) this morning. And here are Puma (left) and Samy with Jolene and Paul. 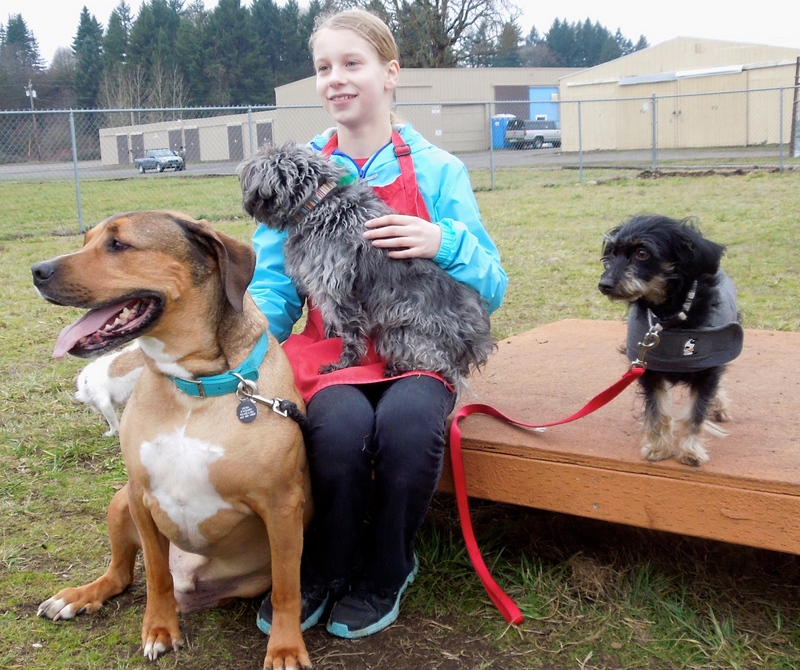 They are also three-year-old Miniature Pinscher/Dachshund mixes sharing a kennel. All four dogs are quite shy and nervous. They would do best in calm homes with adults or older children. They will need understanding and patience to develop confidence. They all came to Sunday’s playgroup and had fun. Starting 2014 with a resolution to get more exercise and lose weight? Me too! We could do it together! I admit it, this big lug is my current favorite, all 80 pounds of him! 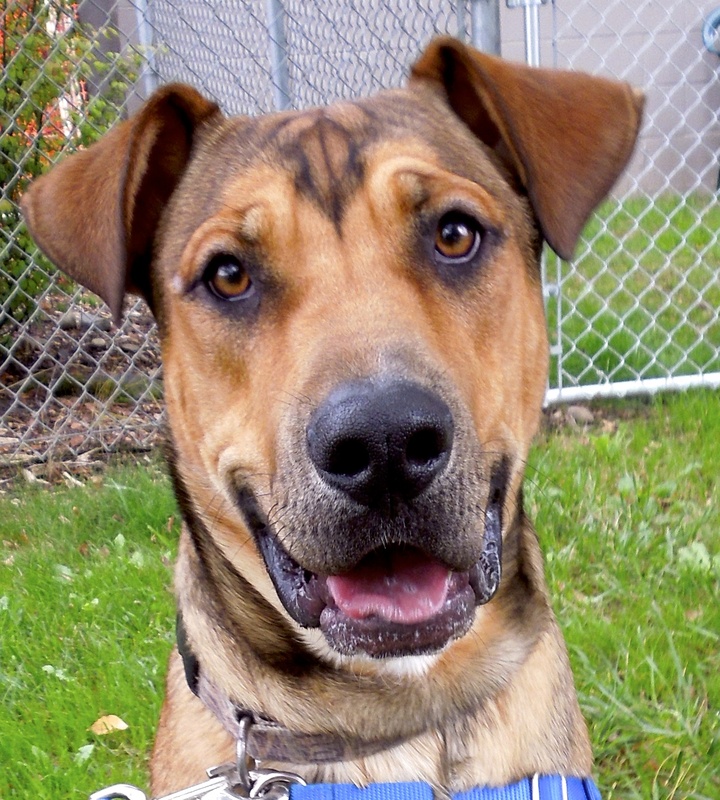 Harley is the most laid-back, (read: lazy) dog at the shelter. Harley is such a goofy boy. He walks well on leash, takes treats gently (although he’s trying to cut back), and gets along with everyone. He had fun in play group. He was even a great sport about the New Year’s hat. Harley’s favorite place to be is in your lap. Yep, all of him! He’ll make a terrific new family member (as long as there are no cats). Here he is today with Jolene. And here he was with me last week. See what I mean about the lap sitting? You may recall last week that Ziggy’s new family said all was going well so far and that he “may” have found his forever home. Well, you can imagine how thrilled we were when his family wrote this a few days later in my blog comments section. We’re so happy for you, Zig! 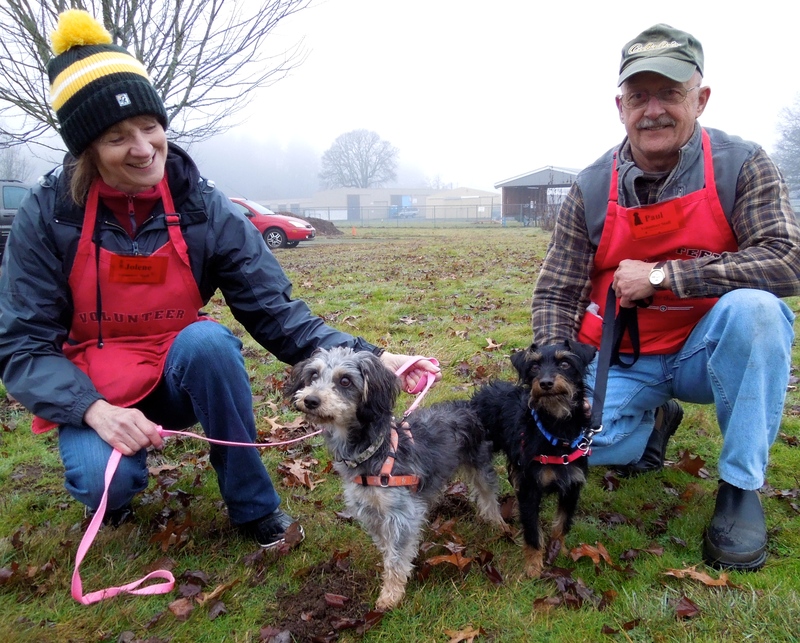 In mid-November, a group of dogs arrived at WHS though our partner, S.T.A.R.T. 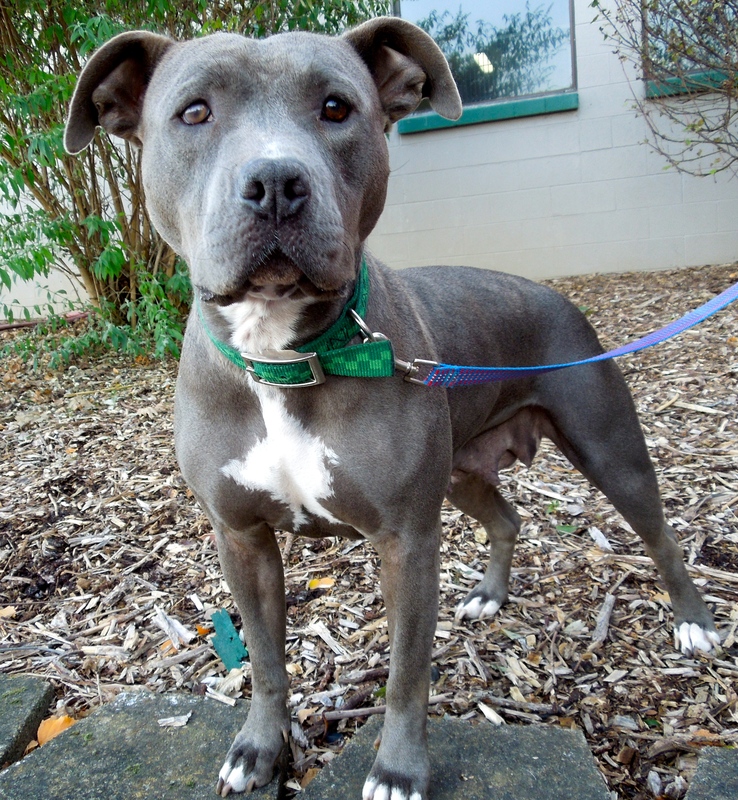 Among them was a very shy, injured Pit Bull Terrier mix named Precious. She had been abused and it was decided that she would need to have her right eye removed. The first time I met Precious, she was trembling in her kennel, afraid at first to even take a treat from me. It took some coaxing to get her to go outside where I took this picture. My heart broke for her, but I knew she was in a good place and would have a bright future. I just wished she could know that. 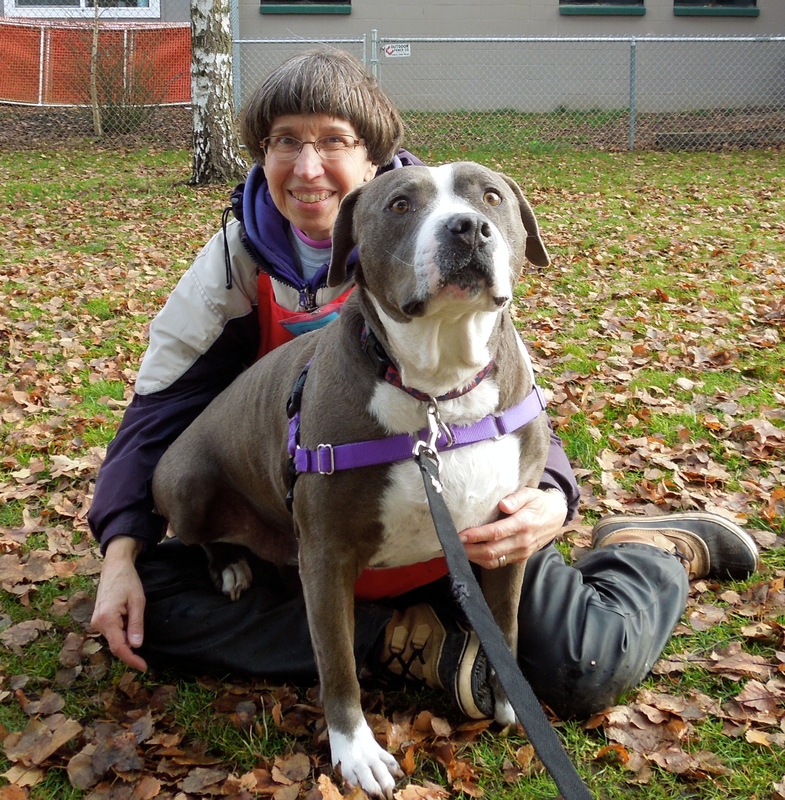 It wasn’t long after that that I heard that Precious was going to be adopted by Alicia, a woman who had fallen in love with her just as we staff and volunteers had. I hoped that I would hear about Precious’ new life, and so this week I was excited when I got an email from her new family. Precious is now Jinni and has a dog brother named Sterling. “Since her rescue, this precious little girl just seems to be surrounded by a sisterhood of love, and she embodies that in every encounter with all beings. Sweet to her core. Ms. Jinni is challenging to photograph unless she is asleep or distracted. She cowers when I bring out my iPad to capture an adorable moment, and slowly slinks toward me as if she has done something wrong. So sad to see her so scared. But her confidence is building every day, as I learn her fear triggers and treat and encourage her. We could not love her more. She and our Sterling are great pals. She doesn’t run much at all, unless by my side. She LOVES to eat, sleep (especially when invited to cuddle on the couch), chase a ball for a little while, ride in the car, lick a stuffed, frozen Goughnut, and play with Sterling. She is very interested in the flirt pole toy, but the pole scares her a bit, so I keep it behind me for now and just drag the toy. She is showing more enthusiasm for it. I don’t think that Jinni could have found a better home. And one more exciting note. 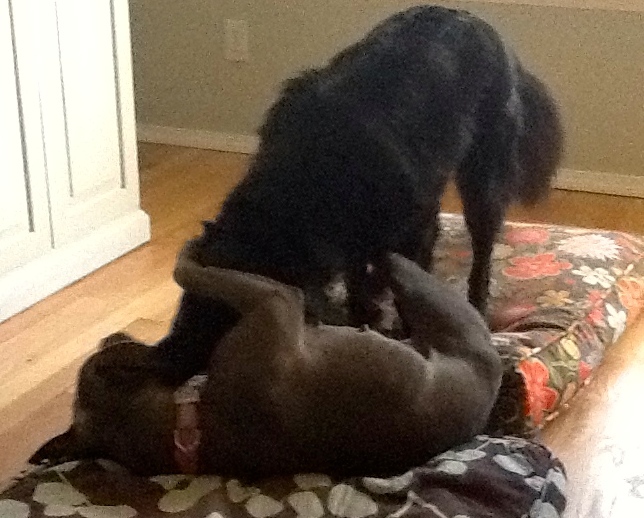 Once Jinni has gained enough confidence and realizes she is finally safe, Alicia is planning on starting the process for her to become a therapy dog. She will be amazing. If those of us who work to help shelter dogs find good homes ever need to be reminded why we do what we do, Jinni is a reason. And that’s it for today. I wish you all a Happy New Year and look forward to telling you many, many happy adoption stories in 2014! Sorry I seem to always be the first to leave comments. Guess I stay up late. But I am so excited to hear the update on Ziggy. I knew he needed a place where he wasn’t pent up, and people who knew how to handle his energy. I loved the video, remembering some of the many adoptees.